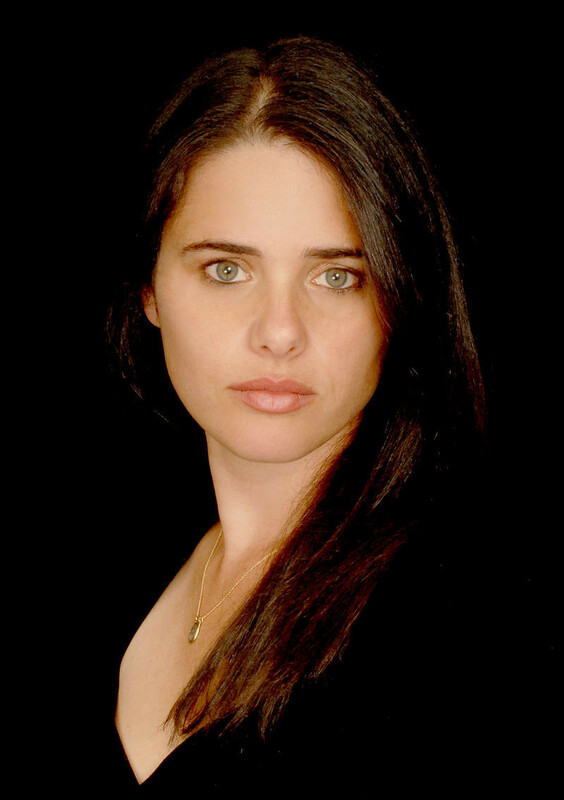 A 2015 poll conducted by, I kid you not, the Israeli Society of Plastic and Aesthetic Surgery found Justice Minister Ayelet Shaked the Knesset’s best looking female politician. You can see why. But then, I don’t suppose odious opinions carry much weight in Plastic & Aesthetic Surgeryland. If they did, the poll might have found itself some other beauty queen. The post by Shaked, a senior figure in the Habeyit Hayehudi (Jewish Home) party that is part of Israel’s ruling coalition, was shared a thousand times and had five thousand “Likes.” Her many admirers, not all of them members of the Israeli Society of Plastic and Aesthetic Surgery, have pointed out she was quoting someone else with her ‘little snakes’ post. So that’s alright then? This is an article by the late Uri Elitzur,2 which was written 12 years ago, but remained unpublished. It is as relevant today as it was at the time. Shaked’s post is not, of course, the only significant antecedent. Three days earlier, three Israeli Jewish teens had been murdered, making Khudair’s incineration an act of indiscriminate (except in the racist sense) revenge. For a bizarre example of asymetric justice at play in “the middle east’s only democracy” see this codicil of the aftermath. Uri Elitzur was a leader of the settler movement and speech writer for Benjamin Netanyahu. Good point there, Jawed. Reminds me of how a South African interior minister, apartheid era, once said he’d swap all his Pass Laws and other draconian legislation (aimed at the ANC) for a few clauses in Britain’s Prevention of Terrorism Act (aimed at the IRA). Yes, great video. Like the one with Noura Ekerat you shared on FB the other day, and I pinched for this post. Thanks for posting this. Boyd Barrett is an almost irrefutable argument for the Irish form of PR: an eloquent voice for socialism and human solidarity in the parliament, what a concept! I confess, I’d never heard of the guy before – but can claim to trump him in one respect. This TD for Dun Laoghaire was born in 1967. Since an eleven year old me was at that ferry port, a few miles south of Dublin and a few north of the beautiful Wicklow Hills, for a two week holiday in 1964, I got there first! Ayalet Shaked is a monster, a wolf in sheeps clothing and representative of the worst criminal abusers of Human Rights. When people speak of beauty as being only skin deep, she is the poster girl, underneath she is pure evil. That the British and US knew what monster they were unleashing against the Palestinians in the form of Irgun, Stern and Levy gangs was bad enough but the British also trained and armed 500 Israeli thugs to indiscriminately murder Palestinians and attack Christians – especially the Chaldonians was unforgiveable. The Israeli regimes is far worse than apartheidism, it’s akin to the nazi terror campaign against Jews and we made Germany pay restitution for the campaign but the neo nazi Israeli extremists have never been brought to task, rather the reverse, they are given carte blanche to mistreat the Palestinians. Israel is only legal within the 1947 borders established in the Balfour agreement and beyond that they are Human Rights violators and nothing more than a criminal enterprise occupying a land to which they have no rights. The Imperialist western powers are quite happy to promote double standards with regard to Israel, a reflection no doubt of their own hypocrisy when dealing with people who simply get in their way. If ever justification were needed for regime change, Israel is it. Long live Hezbollah and I hope Nasrallah – sec.gen. is victorious against the murderous illegal Israeli occupiers, it’s time someone, somewhere stood up to the extremist zionists and their hideous reign of terror. Ha! My original choice of title was along the lines of beauty being skin deep but instead I embraced my inner tabloid headline writer – figuring the juxtaposition of beauty and an animal that inspires visceral fear and loathing would draw in the punters! I’m glad you brought in British complicity. America’s goes without saying. What gave the anti apartheid struggle greater bite was widening the focus, in the eighties, from apartheid’s vileness to western imperialism’s venal complicity. Naming and shaming Barclays Bank (among others) was a shrewd move. It’s too early to tell but my sense is that the Gaza massacre will be looked back on as a milestone analogous to Sharpeville; a nail in the coffin of Israel’s own apartheid that cancelled out decades of assiduously cultivated Hasbara. I understand your wanting to use the word ‘monster’ but that’s not the way I’d go. One, it plays into the hands of the Israeli right and, ignoring the fact Shaked and her ilk hold no appeal for Israeli liberals, undermines them. Two, more importantly it dehumanises her. She is a human being in all the fundamental ways, including that very human need to see ourselves as Good People. Which brings me to a point I intend to write about. There are two extraordinarily powerful narratives in play here, not one, and they collide almost head on. (I say ‘almost’ but there are those in the zionist camp, Shaked for sure, who want that word erased and are happy (a) to perpetuate the falsehood that Palestinians want, en masse, “to drive Israelis into the sea” and (b) to conceal the fact even Hamas recognises the 1967 borders.) Hyperbolic language has its appeal – don’t think I’m not tempted! – three days after May 14, 2018. I myself used the word ‘odious’ but was careful to apply it to her views, not her. She was raised to believe with every fibre of her being in Israel as bastion and beacon of hope and safety to a people subjected to just about the most systematic horror show in recorded history. Don’t get me wrong: that raises all manner of issues, including zionism’s abuses of the Holocaust, I can’t even scratch the surface of in what’s already too long a reply. But I do think that to make any progress we have to acknowledge (among other things) that there are two narratives here and not one. Last thought, which brings me back to paragraph two. The narratives are not only reconcilable, with compromises, but would have been reconciled decades ago if not for Western imperialism, most toxically but not exclusively the USA. It suited imperialism to (a) allow Israel’s back door entry to the nuclear club and (b) have Israel as its regional enforcer. One of the most nightmarish aspects of all is that even if (b) changes, (a) won’t.